Next week, in the final episode of the BBC’s Wolf Hall, we’ll see Anne Boleyn face death by beheading. But if you watched last night’s episode, you’ll know – accurately – that in her final months, she grew to fear something far worse, death by burning. It was a real option, offered to Henry VIII’s discretion after her conviction for adultery. And she wasn’t the only queen threatened with this fate; in 1546, traditionalist Stephen Gardiner (played in Wolf Hall with pantomime villainy by Mark Gatiss), attempted to persuade Henry to order the arrest of his ultra-Protestant sixth wife, Katherine Parr, on heresy charges that would have carried the same penalty. I saw two men begin to burn alive last week. The first, accidentally, was an image I’d spent most of the day trying to avoid: the heart-clenching sight of Jordanian pilot Moaz al-Kasasbeh set on fire by religious murderers in Raqqa. The second was fictional – just. At the end of the third episode of Wolf Hall, Protestant lawyer James Bainham was burned at the stake. Wolf Hall is TV drama, and sensationalist at that, but this much we know to be history: James Bainham was burned at the stake in 1532, we know his crime was heresy, we know his chief prosecutor was Henry VIII’s Lord Chancellor Thomas More, who pursued the case with personal zeal. What we see now in Raqqa was once life in England – except, of course, we’ve grown up. It could not be a more disturbing time, then, for the ranged Roman Catholic bishops of this country to defend Thomas More, indignant about Wolf Hall’s ‘anti-Catholicism’. To be crystal clear, atrocities during the European Reformation were by no means the sole purview of Roman Catholics: the death cult now in Raqqa reminds me of nothing so much in my research as the barbaric city-state established in Münster by Jan Matthys, who claimed inspiration from radical Protestant Anabaptists, rejected the Pope, and ordained a ‘biblical’ society, based almost entirely on the brutal subjection of women. Men were allowed to marry as many women as they pleased – Matthys amassed a personal harem – but women were executed on the street, in a public ritual of sexual violence, should their husbands accuse them of any insubordination. No woman could reject the first husband who ‘claimed’ her. A few historians have previously doubted our good sources for this, on the grounds that humans simply don’t behave like this – now we know that’s not true. Protestant Münster was Raqqa in 1534. And as Ali Eteraz has previously pointed out, it’s no good European Protestants moaning about Islam’s need for a ‘Reformation’ to match our own. Wahhabism, the fuel of jihadism, was itself an eighteenth Protestant Reformation, rejecting the need for priests, precedent, saints or devotional relics, and instead emphasizing the primacy of revealed scripture, sola scriptura. Like Luther, Abd al-Wahhab was a puritan. So why, against all this ghastly Protestant history, are today’s Catholic bishops also in the wrong? Because like religious fanatics around the world, they insist on the rest of us accepting their version of history, a history based more on faith and devotion than critical analysis. And as a mental practice, this has never been more dangerous. It’s a symptom of a culture in which it’s normal to cry victimhood as soon as a community’s history is critiqued – we need only look at the behaviour of the Muslim Council of Britain last month to see where that gets us. 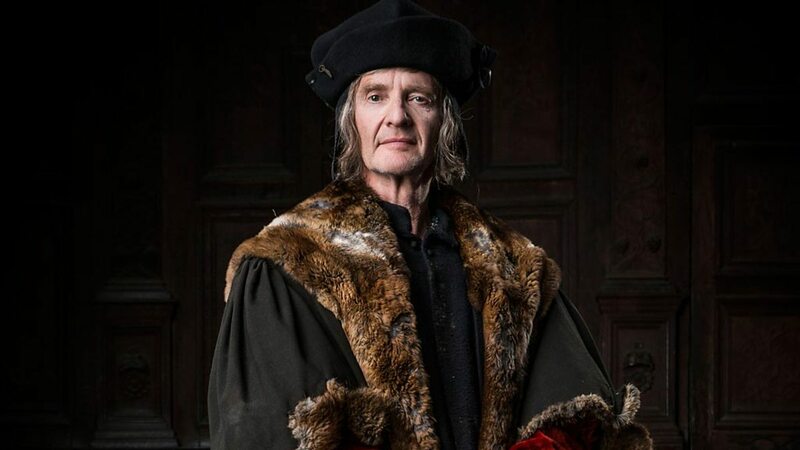 Bishop Mark Davies of Shrewsbury and Bishop Mark O’Toole of Plymouth, have spent much of the last few weeks attacking Wolf Hall for its critical depiction of Thomas More. Thomas More, they tell us ‘was one of the greatest Englishmen’. Because he’s not ‘Sir Thomas More’, he’s ‘St Thomas More’. As the Catholic writer Peter Stanford points out, Catholic schools across the country are named for him. ‘Wolf Hall is going to be hard for some people to watch because there are lots of churches named after More and several of the old recusant stately homes have relics.’ Catholics in England have grown up with the sanctity of Thomas More as an intrinsic part of their faith. His eventual martyrdom, as England slid into Anglicanism, is central to the sense many English Catholics still have of their community as a uniquely persecuted minority in English history. But when he was in charge, Thomas More believed passionately in the importance of burning Protestant heretics alive. The horrific video released by Isis last month, shows us that jihadis, too, come up with complex theological justifications for their specific method of murder. The death of al-Kasasbeh was justified, they’ll tell you, by the Islamic principle of qisas, or retribution: as a pilot, his bombs incinerated people, so, the line goes, he too should be incinerated. Thomas More’s tract on the treatment of heretics is every bit as pseudo-logical. His Dialogue Concerning Heresies tells us that heresy is an infection in the community, and infections must be purged with fire. Burning a heretic also simulates the effects of hellfire, a fit punishment for anyone who led others to hell through teaching religious error. We know of six heretics burned alive during More’s stint as Lord Chancellor, three in cases he personally pursued. But the arguments laid out in Concerning Heresies continued to inspire the Catholic burning of Protestants across Europe long after his death, including the atrocities of Mary Tudor. Bishop of O’Toole tells us of these prosecutions: “More was a man of his time, and heresy was a big sin. It is hard for us in our modern mentality to see it as wrong. They looked on heretics as we look upon drug traffickers. But it is inaccurate to say that he (St Thomas) condemned people to death.” The first part of this claim is moral relativism, the final part is a lie. And the relativist excuse for religious murderers is one of the great evils of our own time. Burning human beings alive is not something we can simply adjust our self to as a necessary evil. The only way to be party to that horror is to embrace it as a zealot. The burning of James Bainham was public theatre, social ritual, just as the death of Moaz al-Kasasbeh was a rite that made perfect sense in Raqqa. But we can excuse, let alone beatify, the men behind neither one. The saddest aspect of all this is that O’Toole and Davies are right about one thing. More was a witty, loving, intellectual giant. His Utopia, is a work of genius – though no one can quite agree on which parts he meant us to take seriously. There is no good evidence that he tortured heretics in his own home, although in his Apologia he did admit to keeping them in his personal custody. He educated his daughters lavishly – though as I have pointed out before – this was not uncommon. But against the backdrop of religious warfare, it seems even a genius can find himself justifying barbarism. This, not ahistorical devotion, should be the cautionary lesson of the life of Thomas More.